Australia’s Senate on Wednesday confirmed changes made this year to the Interactive Gambling Amendment Bill 2016. The approval of the changes to the IGA official sounds a death knell for online poker and most other forms of online gambling in Australia, excepting sports betting, which the changes to the IGA specifically covered. The changes made to the IGA require all online operators to apply for and receive official licensing from the country’s gaming regulators. However, since sports betting is the only online-gambling activity for which a licensing channel exists, online poker and casino-style games have no avenue through which licensing can be obtained, and therefore fall into a category of illegal games within the country. The changes are scheduled to go into effect 28 days after Royal Assent is granted on the approved measure. That’s a perfunctory step in which the bill is signed by Australia’s Governor-General, Sir Peter Cosgrove. This official signing of the bill into law typically takes place in one or two weeks after its passage, meaning it could happen next week. 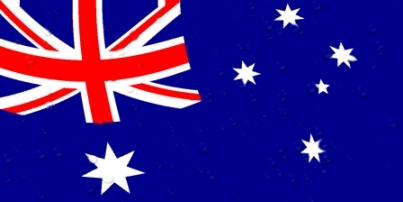 All remaining international online-poker operators offering their services to Aussie players will then have those 28 days — likely to end in mid-September — to halt those services to Australia. The exact date that the changes to the IGA were slated to go into effect had even greater uncertainty before Wednesday’s approval. In June, Australia’s House of Representatives made some minor changes to the version of the bill approved earlier by the Senate. In virtually all bicameral (two-chamber) legislative bodies around the globe, however, the two chambers must agree on a bill with identical language. That left Australia’s Senate either needing to approve the changes subsequently made to the IGA update by the House, or to make further changes and send the bill back to the House for another round of debate and votes. Instead, the Australian Senate appears to have approved the House’s version of the IGA changes on a simple voice vote. Those House changes center largely on removing the ability of australia’s online gamblers to fund their activity via credit cards, while leaving the ban on most online-gambling forms other than sports betting wholly intact. The voice approval also short-circuits the recent hearing into online poker conducted by the Australian Senate’s Environment and Communications References Committee. Four Aussie senators, led by David Leyonhjelm, conducted the hearing, presumably in the hope and belief of somehow creating a carveout for online poker. 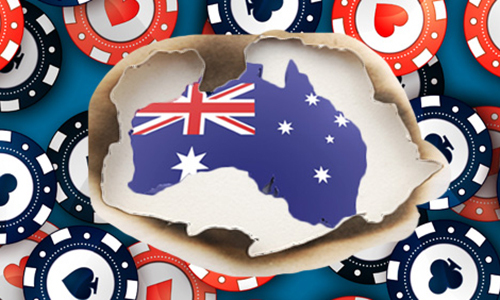 That August 1st hearing was heralded as a great moment for Australia’s online-poker community, but it turned out that the greater part of Australia’s Senate was conducting a giant shuck. The Senate approved Leyonhjelm’s inquiry on a solid 46-22 vote. However, more than a dozen of those Senators then rendered the hearing and a report on the topic due next month utterly moot by shifting sides and voting to approve the House version of the IGA changes without further discussion. The voice-vote approval also spares those deceitful Australian senators from having to read some of the testimony from the hearing, which included two strident anti-gambling Salvation Army Australia representatives from admitting that Australia regulating all forms of online gambling was a superior solution than the unregulated, no-consumer-protection market that Aussie players will now be left with. These senators will also now not be able to read the testimony of pro-poker witnesses such as Luke Brabin, who pointed out massive hypocrisies in Australia’s existing gambling framework. As expalined by Brabin, that situation is only made worse by Wednesday’s approval. Australia will soon be entering into a US-like era of official online-poker prohibition that is likely to last several years.